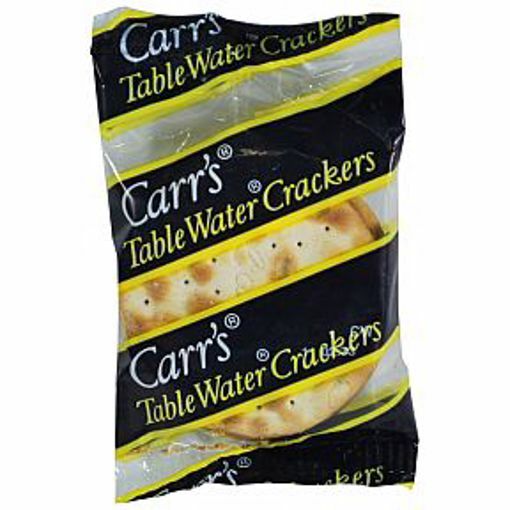 3 table water crackers in sealed plastic pack. ingredients: wheat flour, vegetable oil (palm), salt. contains wheat. produced on a line handling sesame seeds.